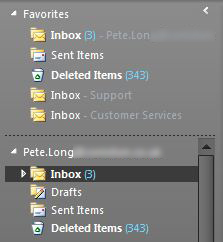 After messing around, adding and removing some mail profiles on my Outlook 2010, It managed to lose my favorites folder. Even the option to add folders to the Favorites folder had disappeared? 3. You can now add folders back to favorites.